German Fallschirmjäger in World War II were the first paratroopers to be committed in large-scale airborne operations. They came to be known as the "green devils" by the Allied forces they fought against, as well as for their uniquely distinct Esprit de corps. 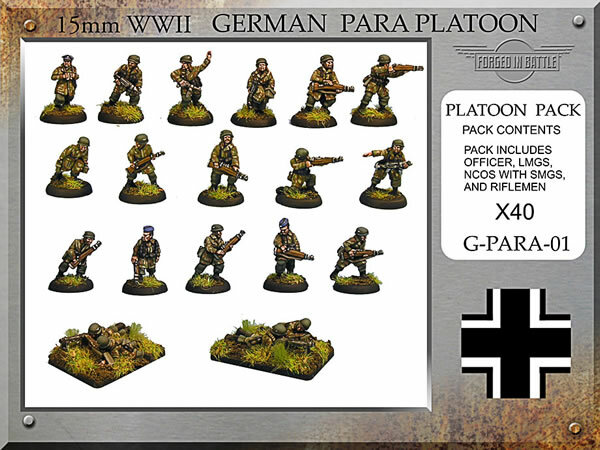 These are the Forged in Battle Paratrooper Platoon blister pack. 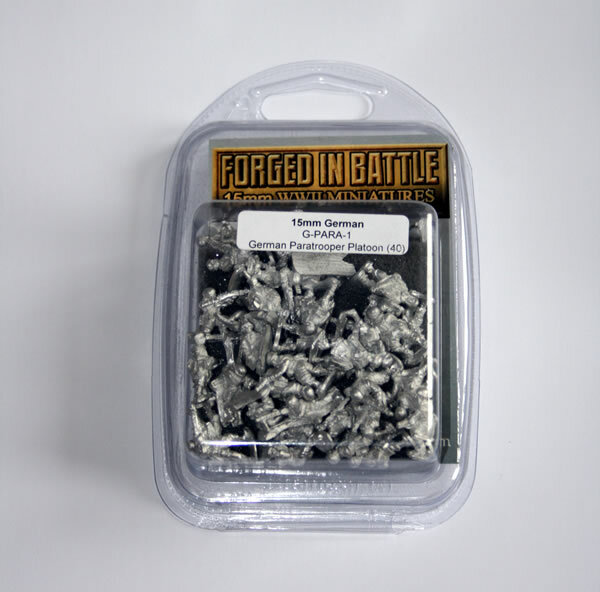 I don't know, even though I read and wrote blister pack, I some how expected these to arrive in a box! Well they don't you get a blister.